Since starting operations in 2006, Kuliza has worked with Fortune 500 and Global 2000 enterprises such as Ford, Nissan, Best Buy, and Intuit, in addition to fast-growing startups such as Flipkart, Quikr, Urban Ladder, and Myntra. I have made a lot of offers through Instahyre. Especially from an ROI perspective I think it’s a great platform that has really helped me in hiring some good tech people. I am pretty confident of the quality that you guys have, so I think it's a great platform frankly! Kuliza faced the common pain point of reaching out to passive candidates through various sources, but receiving very low response. This would result in an increased turnaround time for closing positions, while using up precious time that the company could use to engage with candidates who were interested. I think passive talent is not always interested, and reaching out to them is the biggest problem of all. When you reach out to people, you find they are not looking out for a new job, especially good people. And of course, if they are not looking for a job then it’s an even tougher challenge! Manika has used most conventional channels such as recruitment agencies and traditional portals with limited success and return on investment. Having tried Instahyre at her previous company, Manika decided to partner with Instahyre at Kuliza. Unlike traditional job portals that overwhelm a recruiter with a flood or ill-fitting resumes, Instahyre uses cutting edge artificial intelligence algorithms to match just the right candidates to each job. In comparison to other platforms, Instahyre is a lot better in terms of the quality of candidates, and in terms of the exact match. I post a job and get the exact match of candidates, so it's a lot better, and in fact Naukri does not have it and I am very grateful to Instahyre! Reaching out to candidates is typically an arduous process on most hiring platforms, while resulting in low candidate engagement. In an effort to address this challenge, Instahyre provides the recruiter with the ability to reach out to a candidate with a single click. A personalized email for each candidate is automatically generated and sent by the platform, leveraging the company’s brand page on Instahyre. “I find the platform very simple to use. 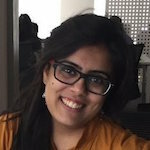 I can reach out to candidates within a single click most of the times!” says Manika, who is clearly benefiting from this unique feature. In addition to receiving industry-leading response rates from candidates, the recruiter can devote the substantial time saved into providing a high quality candidate experience. At Instahyre, high quality support is an integral part of the customer experience, rather than an afterthought. Manika can reach her account manager via real-time chat built into the platform, or by phone. “Yes you guys are always available for support and always keep checking my account!” she remarks. Since starting their partnership, Kuliza has used Instahyre to effortlessly close multiple positions across critical roles including Software Engineering, Quality Assurance, and Design. Ready to hire the best for your team?